Stephanie attended Union University and earned a Bachelor's degree in music and marketing. 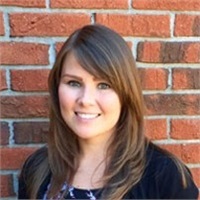 She also obtained a Master's degree in education from the University of Tennessee at Martin and was a teacher before joining Stonebridge Investment Advisors. She maintains multiple client databases, manages the firm's social media platforms, communicates with clients, and handles our marketing. Stephanie is a native of Jackson, TN. She enjoys playing the clarinet and piano, reading, and spending time with her family.